8-Track Tapes, Cassettes, Floppy Disks, VHS Tapes…All of these have virtually become obsolete! My new computer doesn't even have a disk drive so anything I saved to disks needs to be viewed through a different device. (Some of you are probably asking yourself, "What is an 8-track tape?" With technology changing so quickly, it's best to use a combination for digital storage. Consider backing up on a CD and/or thumb-drive as well as an external hard-drive; especially for those very special photographs! 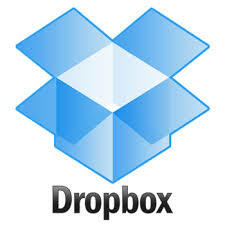 Then consider storing in a separate location and in a fire/water-proof safe in case of unforseen disaster. And don't forget to print your favorites or create a scrapbook, video or photo book since it is more fun to share with family and friends! The Flip-Pal mobile scanner is the world’s original color flatbed scanner for photos, cherished memorabilia, and documents that does not require a computer to operate. The patented flip-and-scan technology allows scanning photos in place without removing them from an album or frame. The included EasyStitch software quickly and automatically reassembles multiple scans into their larger original. There are tens of thousands of satisfied Flip-Pal customers worldwide. When safeguarding your memories really matters, the trusted Flip-Pal mobile scanner is the ideal solution. We found the Flip-Pal Mobile Scanner has everything you need to start scanning in the box. Scanner, USB to SD adapter that converts SD card into a USB “thumb” drive, 4GB SD memory card (installed) capable of saving over 2,000 scans, four AA batteries (installed), stitching and color restoration software (on the SD card), Quick Start Guide, first year warranty, and 30-day money back guarantee. Second year extended warranty available. If you have old film reels, videos or negatives that you don't know what to do with, consider ScanDigital's services. The easiest way to back-up your digital photos! 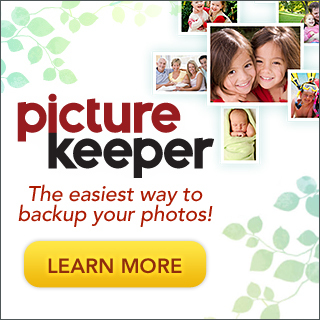 Picture Keeper is the quickest and easiest way to automatically backup your photos. Just plug Picture Keeper into any USB port on your computer, click "Start Backup" and Picture Keeper automatically finds and saves all your pictures. That’s it! What's more, subsequent backups are fast because Picture Keeper will only copy the newest images when you use it again to save your recently added or changed pictures.